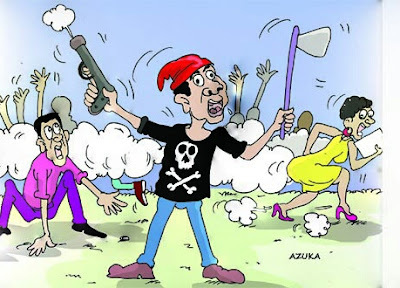 At least, four persons suspected to be members of two rival cult groups were feared killed during a clash in Akporo-Sogho community in Khana Local Government Area of Rivers State. It was gathered that some houses were also razed during the clash in the community on Saturday. Our correspondent learnt that the attack caused confusion as indigenes scampered to safety. A source disclosed that the Chairman, Caretaker Committee of Khana Local Government Area, Mr. Baridah Nsaanee, led a group of security operatives to inspect the scenes of the clash. Nsaanee appealed to the people of Akporo-Sogho community to remain calm and allow the police to carry out their investigation with a view to arresting those involved. He warned that any cultist caught would face the wrath of the law, adding that the amnesty offered by the state government would not exempt any criminal from prosecution should any of them go back to crime.